Denis MacShane is the UK’s former Europe Minister, and travels regularly in the Balkans. Instead it’s a 12-hour trip via Istanbul or Frankfurt, instead of a 60-minute hop to the capital cities of the these two small Western Balkan states. Greece is now very much a frontline state for the broader security of the European Union and NATO after the turmoil in Turkey and the very clear signs of the desire of the Turkish ruling elite to turn its back on rule-of-law, free press, and allowing democratic space for opposition politics. That is why US Treasury Secretary, Jack Lew, has called for Greece’s debt to be rolled over in order to help stabilise the nation, make it more attractive for foreign investment, and anchor Greece firmly as part of the Euro-Atlantic democratic camp. But can Greece do more to help itself by being part of the solution rather than part of the problem to the many difficulties the region from the Alps to the Aegean still faces? When the Rio Olympics open, the Macedonian athletes will march with France and Finland under the letter ‘F’ for ‘Former Yugoslav Republic of Macedonia.’ The ugly acronym FYROM was devised 25 years ago when right-wing Greek populist nationalists insisted that Macedonia was part of Greece and the Skopje state should not steal its name. The rest of the world was baffled. The state of New Mexico in the USA does not mean Washington has designs on the nation of Mexico. Dublin lives with the northern six counties of the island of Ireland being part of another state, the UK. But the Greek populist nationalism was matched by extreme nationalist language by Macedonian rightists who found – as has seen in the UK’s Brexit campaign or in Hungary and Poland – that invoking the nation ‘über alles’ brings in the votes. Skopje’s airport is called the “Philip the Great” airport – which would be like renaming Heathrow the Joan of Arc or Napoleon airport because however one addresses ancient history Philip the Great saved Hellenic civilisation and culture for eternity and the great warrior had nothing to do with the Slavs who came down into today’s Macedonia and Bulgaria a thousand years later. There is now a deal in Macedonia to move forward to new elections after a year-long row over spying and telephone-tapping of political and media opponents of the ruling rightwing nationalist. Radmila Sekerinska, of Macedonia’s Social Democratic Party says the deal is a good one if it holds but she fears that the anti-Greek nationalism prevailing in Skopje will continue to be deployed to win votes. 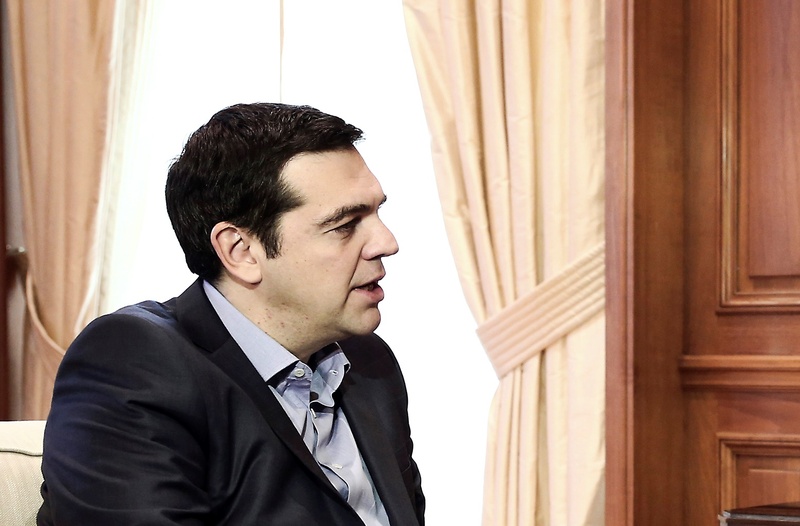 Can Greece rise above these irritations and normalise relations with Macedonia and Kosovo? There is an interesting example being set in Africa where Morocco, after 32 years of boycotting the Organisation of African Unity (now the African Union) because it admitted as a member the Polisario-front created Sahrawi Arab Democratic Republic (SADR) wants to rejoin the AU. Morocco says all of the former Spanish Sahara is part of Morocco and has spent three decades sulking because other AU member states, notably Algeria recognise the SADR. Unlike Greece which pretends that Macedonia and Kosovo do not exist, or in the latter case support Serb revanchist claims that Kosovo is just a breakaway province which will one day see the light and return to rule by Belgrade, Morocco knows that it is better to sit around the same table, inside the tent rather than outside standing on pride. Indeed the Moroccan example of accepting reality is a lesson to both Macedonian and Greek populist nationalists. The world needs a stable Greece as Turkey appears to be opting for a Middle Eastern rather than a European future, at least under its current rulers. But Greece needs a stable Western Balkans and that cannot be achieved by treating Kosovo and Macedonia as pariah or non-states. There were hopes that the left-wing Syriza government might break with the nationalist-populist blockages of previous Greek administrations, but so far, and unlike Morocco, nothing seems able to be changed. The EU is sending a top Greek diplomat, Alexandra Papadoupolos, as head of its EULEX mission in Kosovo. She was fired as Greece’s ambassador to the EU on the grounds that she was insufficiently anti-Macedonian. Sending her as the EU’s person in Pristina may not help lower tensions. But if Athens remain obdurate that it will not help normalise state-to-state relations on its northern borders perhaps Brussels has no other choice. Meanwhile travelling from Athens to Skopje or Pristina is an eternal bus journey as normal flights between the three capitals can never take off. And Turkish Airlines provide a service their Greek counterparts cannot. Can the patronizing foreign nationalists that ridiculously and dangerously attempted to ethnic engineer Slavs into “Macedonians” stop being racist asshats towards Greeks? Not exactly hard to notice how the former Yugoslavians are abusing the name Macedonia to promote irredentism against Greece… as Greeks warned would happen 20 years ago. The author of this piece made a cardinal mistake in claiming that Macedonians came to this Peninsula in the 6th century as Slavs.The Macedonian population has been in this Peninsula longer the modern Greeks.The percentage of Slav / Macedonians are only 13%,rest are proto/Slav/Macedonians.Alexander the Macedon was proto slav.The Greek propaganda by creating and fabricating the truth is trying to tell the world,that there are two different ethnos of Macedonians when in actual fact the ancient Macedonians and today’s Macedonians are one and the same and different than modern Greeks and different than ancient Athenians ,Thebans and Spartans.It is a fact,no nation was called “Greece” before 1829.Greek identity started in 1821 to surface.Main population of modern Greece before 1856 was Albanian,Turkish and Roman.The myth that Greece wants to portray as a lineage to the ancient Athenians is pure farce.Modern Greeks have not one drop of ancient blood in their vanes. The original Greek history was written by Otto,Greecés first king .installed by Prussia and France.He wrote that he presided over an ancient people that in his mind made him more prestigious than all,and not because it was factual..
Tell your fascist fantasies to the Greek hating morons that ridiculously called obvious Slavs “ethnic” Macedonians. Denis? Only a “sulking nationalist” would object to state sponsored irredentism and casual attempt to narrate them out of existence after all. The current queen of the “British” house of Windsor (nee German Queen of Sax, Coburg and Gotha) would be pleased. Hilarious. A Slav with fake last name…. convicted and imprisoned for fraud…. lecturing Greeks on ethics. Rich. Perhaps Euractiv editorial board should review their staff for convicts before prancing them out as “experts:”? If the foreign nationalist rocket scientists attempting to hide their mistake of calling former Yugoslavians “Macedonians” keep up their unethical evasions over Skopian irredentism.. in direct violation of NATO principles.. they will find new enemies in Greeks. Clearly on European Southeast borders, where civilization ends, muslim states begin. We should be extremely thankful with the formerly convicted criminal turned Sultan, Erdogan, for he finally made it undeniable that there doesn’t exist a moderate islam. Never forget: The extremists want to kill us, the moderate muslim want the extremists to kill us. Islamophobia, a word created by fascists, and used by cowards, to manipulate morons. Just imagine how peaceful, free, democratic and prosperous the world would be without islam. Only one issue left: the Endlösung der muslimfrage. @YY None of what you said makes in sense. How does the Actions of Turkey prove anything? Your perception of the world defies all logic. Greece nationalistic and xenophobic society needs constant reassurance. A Nazi narrative of a “pure” Greek state, linking present day Greeks with history of 2500 years ago, (just like Nazi Germany and Aryans). That is why Greeks clame property of shared history. That is why they have this absurd disputes. Greek weak and poor country can bully just a handful of weaker states. And does precisely that, bully and humiliate a weaker neighbor. You gave yourself away by repeating racist negative stereotypes of Greeks Skoopian troll. No Greek claim racial purity you patronizing bigot. You can’t even report history truthfully in your lifetimes you liar. Skopians have turned from Slavs into “ancient Macedonians” right before your eyes and promote irredentism (as Greeks warned would happen) will monsters like you continue to unfairly blame Greeks. You Skopians, and those that support you, are the Nazis troll. You are literally trying to ethnic cleanse Greeks. Bullies are the massses of shameless bigots that ganged up on Greeks to hide their mistake calling the current non-Macedonian inhabitants of ancient Paeonia “Macedonians”.. Evil is even a better word to describe them.. and you. The Greek writing on ancient Macedonian artifacts isn’t going anywhere dear genocidal “stefan”. No amount of ridiculous “recognition” will change the founders of the Hellenistic period into Slavs. No amount of evasions by your supporters — who unethically evade over obvious your irredentism — will change those artifacts.